Planning a wedding can be stressful and challenging. 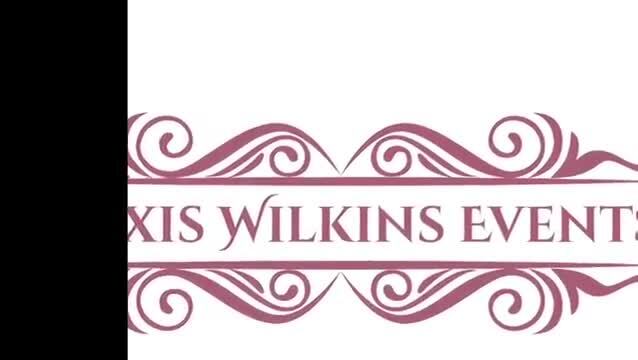 With the help of Alexis Wilkins Events, you can just sit back, relax, and enjoy your special day with your loved ones! Browse the photos to see some of the projects Alexis has handled in the past. Want to know what some of Alexis’ clients in Baltimore, Maryland say about her services? Feel free to read the testimonials and reviews below. If you want to give your own feedback, do not hesitate to call or email Alexis. Alexis was absolutely amazing! She gave great suggestions for vendors we used for our wedding. Her attention to detail during the planning process made the day absolutely seamless. Not to mention, she decorated our reception venue in such a small window of time and it looked great! If we could do it all over again, we would definitely choose Alexis! Alexis jumped in mid-stream as our day-of wedding coordinator when our previously hired coordinator had an emergency. She was flexible, organized, very personable and helpful. Alexis was the event coordinator for my wedding. Everything was great and taken care of! There were no hiccups. At the reception someone spilled red wine on my dress prior to dinner. Alexis was on her hands and knees scrubbing my dress with a tide marker to get the stain out! Absolutely amazing!